Hi, I’m Laura Hofman, known in gardening circles as “Flower Chick” and owner of FlowerChick.com. Probably like many of you, I’ve enjoyed gardening for years (over 30 years, actually!) … it’s truly one of life’s greatest joys! Over the years, family and friends have come to know about my passion for the gardening hobby. They’d ask advice on flowers and plants, and after a while someone hung the nickname “Flower Chick” on me … and it stuck! The “Why” Behind Every Tip … You’ll Understand The Reason Why The Tip Is Important! Each Tip Contained On One Page … Easy To Print, Retain, Or Share! Avoid The Use Of This Common Ingredient – It’s Toxic To Your Plants! What To Do With Tulips When They’re Done Blooming … It’s Not What You Think! Before Planting Bare Root Trees, Shrubs, And Roses … Be Sure To Do “This”! Keep “This” On Hand … It’s Your Best Defense Against Insects Invading Your Plants! How To Mulch Your Freshly Planted Trees … And How NOT To Mulch Them! What To Do With Your Herb Plants At Season’s End … And Why! 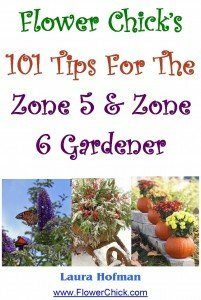 “101 Tips For The Zone 5 & Zone 6 Gardener” Contains All My Favorite (and best!) tried-and-true gardening tips and secrets I’ve used successfully for over 30 years. Take advantage of my green thumb and put these suggestions to use in your own beautiful garden! Instantly Download Your Copy Now … Click Here! My gardening philosophy is simple … your garden is meant to be enjoyed … not slaved over. In this e-book, you’ll discover how to keep your Zone 5 & Zone 6 garden in tip top shape – in just a few minutes a week! Click On The “Add To Cart” Button Now – You Can Instantly Download My New E-Book In Less Than 30 Seconds! Thank you so much for visiting FlowerChick.com, and Happy Gardening! P.S. 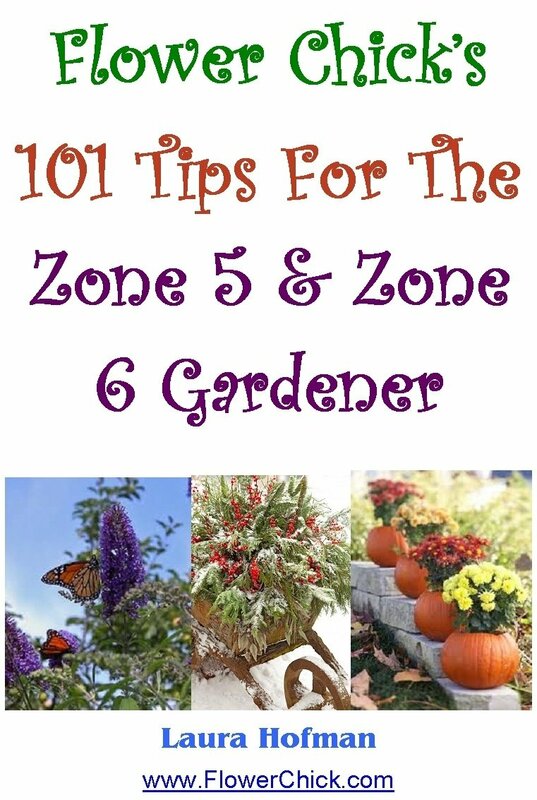 – Grab Your Copy of “101 Tips For The Zone 5 & Zone 6 Gardener” Today … Download Your Copy Now For Just $12.95! P.P.S. – You Can Use PayPal or Any Major Credit Card to Make Your Purchase. We use DigiResults.com, one of the world’s most trusted digital product vendors, to handle the payment and download process. Your online security is guaranteed!